About a month ago, it became known that Microsoft was going to host a Windows Phone Developer Summit in San Francisco that will span two days. Well, Microsoft has followed up and opened registration for that Windows Phone Summit while also reducing it down to a one day-long event on June 20. 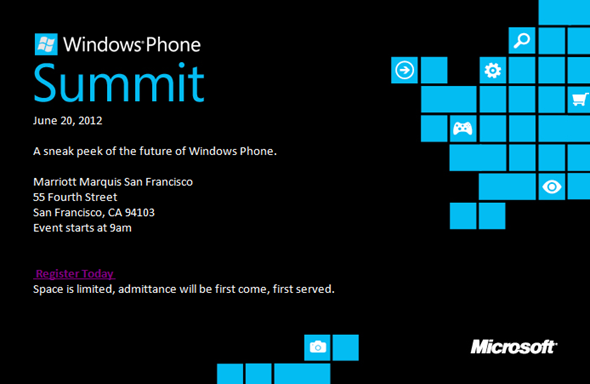 What’s pretty interesting though is that, on the updated invitation, the company states that they will be offering "a sneak peek of the future of Windows Phone", suggesting that they may be showing off Windows Phone "Apollo" at the summit. Now, it is unknown as to how far they’ll delve into the new OS – will it be a quick teaser with some questions, and then other developer info, or will they detail some of the new big features – but hopefully the question of support for existing/older Windows Phone devices that has been looming over Apollo for some time now will finally be answered. We’re not entirely sure as to what exactly is happening at this summit; apart from this vague tagline, Microsoft hasn’t shared much about what they’ll be doing. So, what has been rumored about Apollo thus far? A switch to the NT kernel, BitLocker and Secure Boot support, an improved Skype client (but no integration), DataSmart – a tool to help monitor and conserve data – a proxy server to deliver pages more quickly to Internet Explorer 10 mobile, a replaced Zune PC client with an ActiveSync-esque update mechanism, NFC support, removable microSD cards, multi-core processor support, new form factors, and four different screen resolutions all have been rumored for Apollo. On the apps front, it is rumored that Microsoft will be consolidating its PC and mobile ecosystems, with the same Metro-style app development toolset being shared across the two devices. 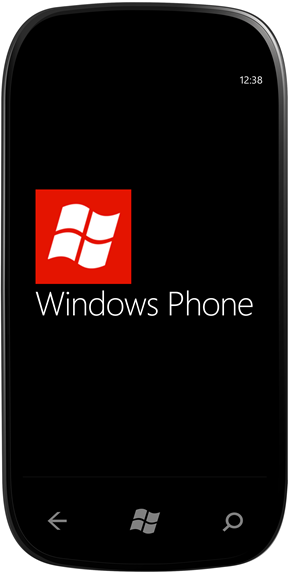 And recently, Microsoft also confirmed rumors that existing apps will work just fine on the upcoming Windows Phone OS. So, hopefully Microsoft gets around to confirming the rumored feature set and answering questions about Apollo. I’m hoping that they implement a proper cloud backup solution in the OS, but I’m hearing that this isn’t going to happen with Windows Phone 8. If you received an invite to the summit, you will be able to register – essentially RSVP – by heading over to this link. If you didn’t receive an invite, don’t feel too bad; thankfully, the event is being live streamed.